One of the joys of having a newborn in the family is that you get to see that little angel grow up right before your very eyes. 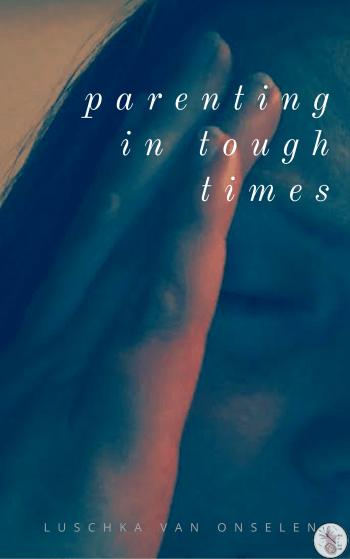 But many parents secretly wish that their baby won’t grow up too fast. Well, that angelic, innocent-looking face, precious smile, and pink chubby cheeks won’t last forever, but you can capture your baby’s cutest moments and immortalize them through photos. You don’t need to be a skilled photographer or hire a professional photographer to take adorable pictures of your little munchkin. With the help of your family, a few props, and right newborn photography gear, you can do it on your own! While a smartphone is the most convenient tool for taking great snaps of your baby, it can never outperform a digital camera in terms of picture quality. If you can see yourself endlessly taking lots of photos of your child in the coming months and years, you’d better invest in a camera like the Sony Cyber-shot DSC-RX10 II that’s light and small enough to carry around (perfect for taking vacation photos with your baby) and easy to use (a must-have feature for parents who have basic photography skills). It also has Wi-Fi and NFC connectivity so that you can easily share your photos on social media. What can you imagine your child being someday? You’re probably dreaming of having a future chef, pilot, dancer, fashion model, or doctor. 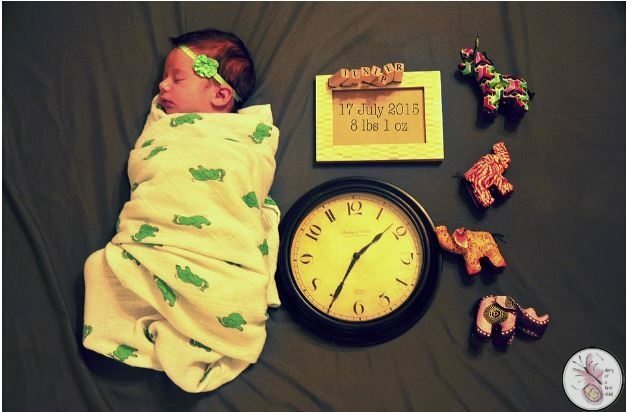 Whatever that is, you can turn that vision into reality as early as now by doing a themed photo shoot with your baby. 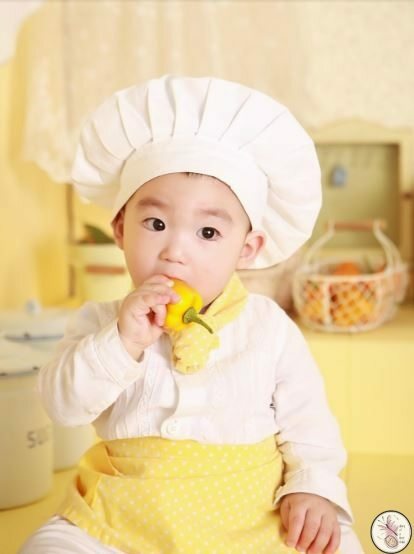 For example, if you dream of your infant becoming a chef, dress him up with a chef’s uniform with the white hat and set up the room (preferably with the kitchen as the backdrop) with lights and props. Although it’s better to photograph your little tyke when he’s awake, you can still pull off this themed photo shoot while he’s asleep. All it needs is a little creativity to make it look like he’s dreaming about his future self. Feeling inspired to do a fun and charming baby photo shoot? Dress up the little ones in cute animal, fairy, or flower costumes! If you can include siblings or twins, do so. 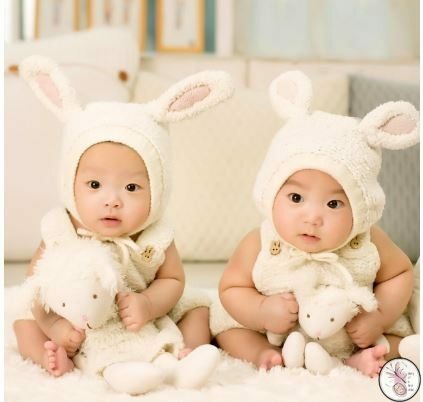 Two (or more) babies with matching outfits look more interesting and delightful than one. If your baby is too sleepy to pose for a photo shoot, no need to wake him up. Take advantage of the calm and peaceful aura that your baby radiates. Instead of constantly positioning your baby for a pose, wrap your little one in a blanket like a burrito. Once the baby gets comfortable and starts to doze off, get your camera clicking. Just avoid using flash so that you won’t wake the little one up. To perk things up a bit and to tell an interesting story, add some props such as a calendar and toys that signify your baby’s milestone (e.g., birth, first month, christening, birthday, etc.). For a spontaneous photo shoot with your baby, add in a toy and let him do whatever he likes with it. Place him on a comfortable bed or a bean bag and just let him do his thing. Another cute idea is to let your child eat alone and capture his cuteness and messiness on camera. Photo shoots like this show how simple a child’s happiness is. And maybe if you’re lucky, you can catch a smile too. Of course, if there’s something you shouldn’t miss taking a photo of, it’s you with your baby! A printed family photo with your child in his infancy years will make for a great home decor to hang on the wall. A trend in family photos nowadays is wearing matching outfits, popularly known as “twinning.” You can wear color-coordinated clothes for the photo shoot. If you love the outdoors, you can also do the photo shoot in your backyard or garden. 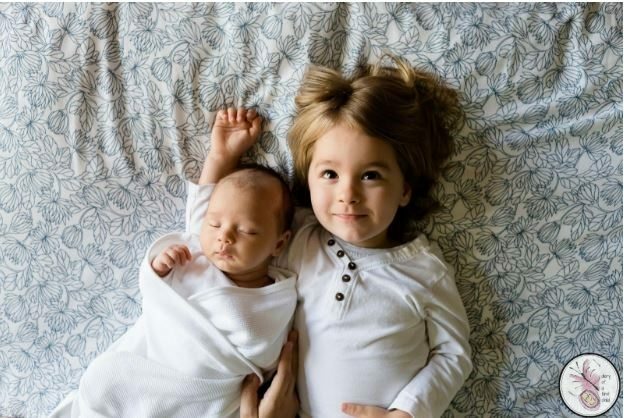 If the older siblings are watching or playing with the youngest member of the family, let them! As they interact with each other, take their photos. Some of the most heartwarming, must-photograph moments include siblings kissing the baby’s forehead, giving the baby a hug, or trying to read their younger sibling child-friendly books. 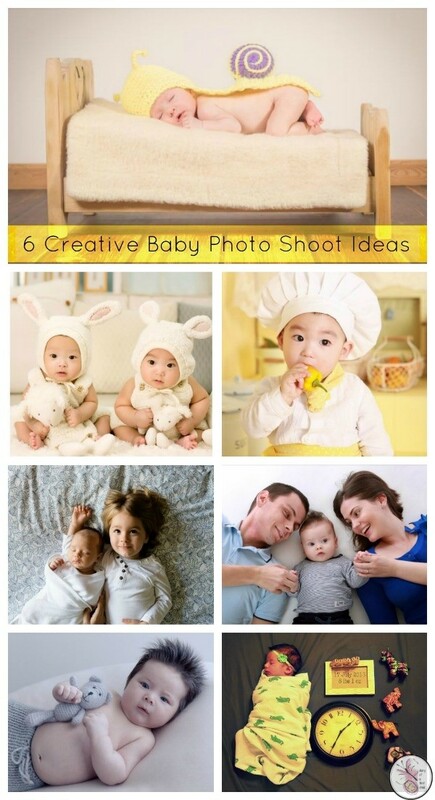 With these creative newborn photo shoot ideas, the family will have something sentimental to look back on years later when they’re older and already grown up.